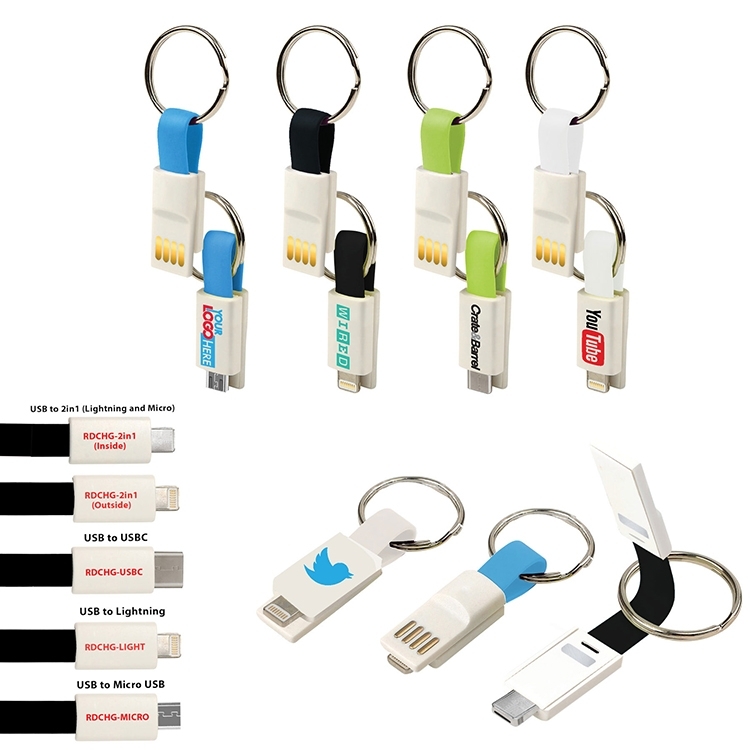 Portable light weight charging cable and key ring for on-the-go charging! Packaged in clear clamshell with insert card. Custom insert cards available. 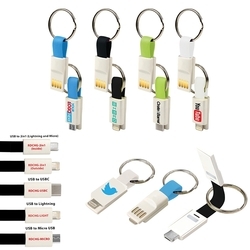 ReadyCharge Portable Charging Cable and Key Ring. Apple and Lightning are Registered Trademarks of Apple Inc. Be sure to specify which type connector you are ordering!